WASHINGTON — A Virginia state review has called for less local control of elections this week, pointing to a rickety IT system, lack of reviews to confirm voters are assigned to the correct districts and a sense of politics invading the state’s Department of Elections. Gov. Ralph Northam said Wednesday that the state has made changes since he was inaugurated in January that help address a number of the issues. “We’ve made a lot of changes and I don’t think Virginians should worry that this is going to happen again,” Northam said on WRVA Radio. The review found no evidence of widespread voter fraud in Virginia, concluding that the 5.5 million-strong voter registration list is largely accurate. However, a problem identified in the report deals with where that list is stored by the state and maintained by local registrars: an aging IT system known as VERIS that is confusing and slow even when it is not overwhelmed. The system crashed on the last day of voter registration in 2016. The system is also potentially vulnerable to cyberattacks, although the state has been taking steps to secure it. “VERIS is not sufficiently functional or reliable to meet the needs of registrars for administering elections,” the review by the Joint Legislative Audit & Review Commission found. Mapping is “rudimentary,” the screens are “poorly arranged and confusing” and less than 40 percent of registrars feel the system does everything it should. Virginia plans a minimum $5 million rebuild of the system, but the review suggests starting from scratch may be better in the long term. 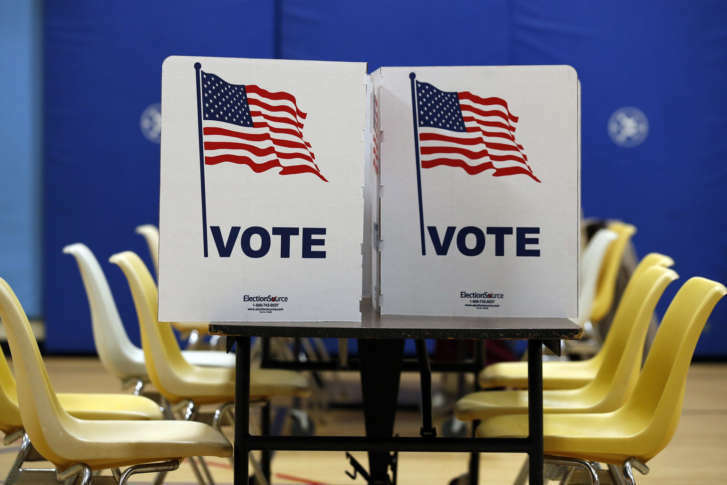 Additional problems have arisen due to “incomplete or inaccurate” information tied to voter registration data through the Department of Motor Vehicles. Those failures have even led to people wrongly being charged with crimes, WTOP has found. Problems also continue to be identified with the assignment of voters to incorrect districts, which created concerns in a number of tight House of Delegates races last year. In one case, a race even ended up being decided by the drawing of a name from a bowl. The department currently has no responsibility to verify voter assignments or any funding to provide mapping services to local registrars. Northam appointed a new commissioner of elections, Chris Piper, to replace Edgardo Cortes, who was appointed by fellow Democratic Gov. Terry McAuliffe. “I think he’s making some good changes,” Northam said. Northam met with General Assembly leaders about the issue in recent weeks. The legislative review found Piper has significantly improved perceptions of the department, which operates as part of the executive branch but is also under the guidance of the three-member State Board of Elections. “There were numerous concerns with ELECT’s management under previous leadership, but management has improved under the current commissioner,” the review said. The review also recommends changing two appointed positions under the commissioner into one career position of operations director, since there was a “perception by some ELECT staff and registrars that previous ELECT leadership had a political bias”. Those staff and registrars claimed there was an “environment of open support for one party over the other,” the review found. “Staff described a ‘rudderless ship caught in storm after storm’ and ‘void of management,’” stated the report, which also identified a contentious relationship with the Board of Elections. “There should be no favorability given to any candidate by our Board of Elections,” Northam said. In an emailed statement provided to WTOP, Cortes he is “proud of everything the Department of Elections has accomplished” and said the department “fulfilled its nonpartisan mission” during his tenure. The department now has a clear ban on staff participating in political activity and enforcement of the agency’s telework policy. Virginia’s local registrars could also benefit from better state guidance and policies, the commission round. The commission also suggested that the General Assembly consider taking responsibility away from local registrars for adding and removing voter registrations to shift it to the state level. The state could also take responsibility for additional oversight, if the General Assembly chooses.